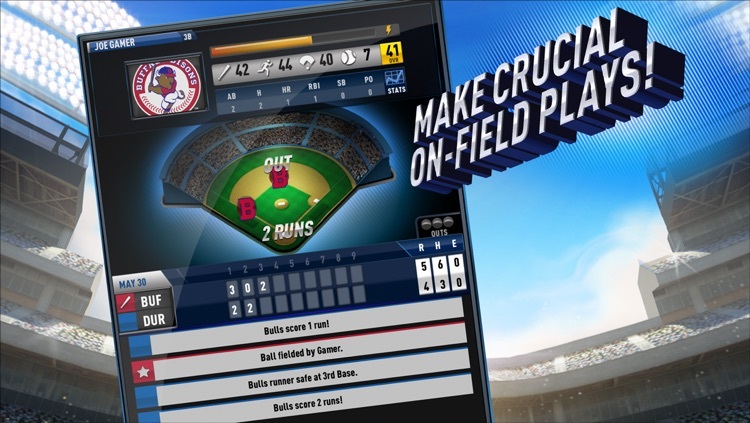 Do you have what it takes to become an MLB.com Franchise MVP? 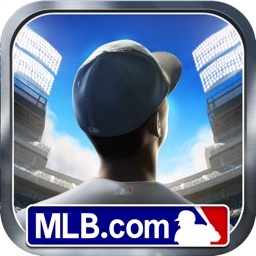 Join your favorite MLB team and follow your dream from the Minors to the Majors. 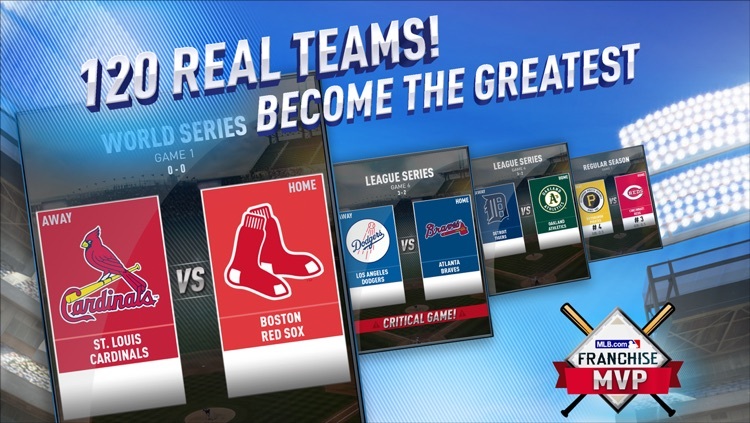 Can you take your team to the World Series and beyond? 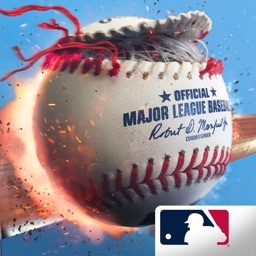 MLB.com Franchise MVP is the only baseball game on the App Store with 120 REAL TEAMS including Class A, Double-A, Triple-A and Major Leagues. 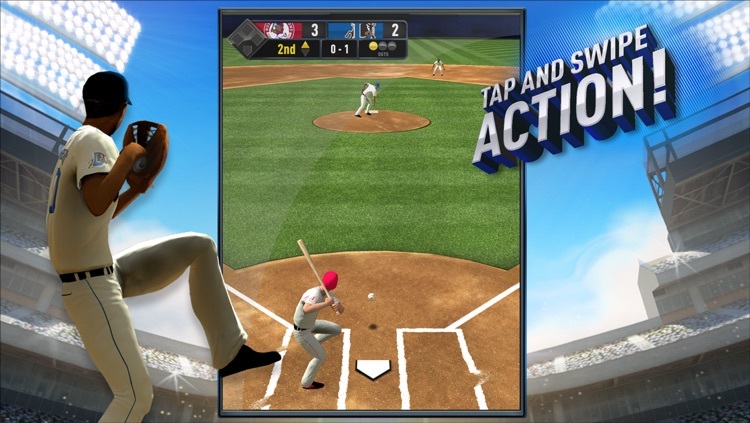 An Official Game of Major League Baseball Advanced Media. Build your skills, master any position on the field and reach success. 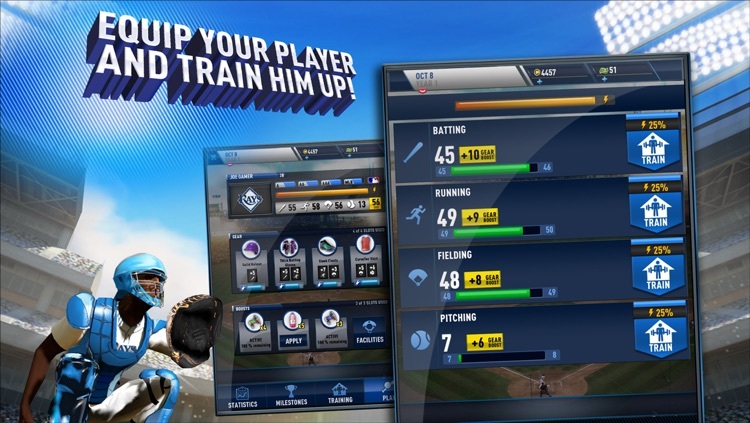 Equip your player with the best gear, boosts and train him up! 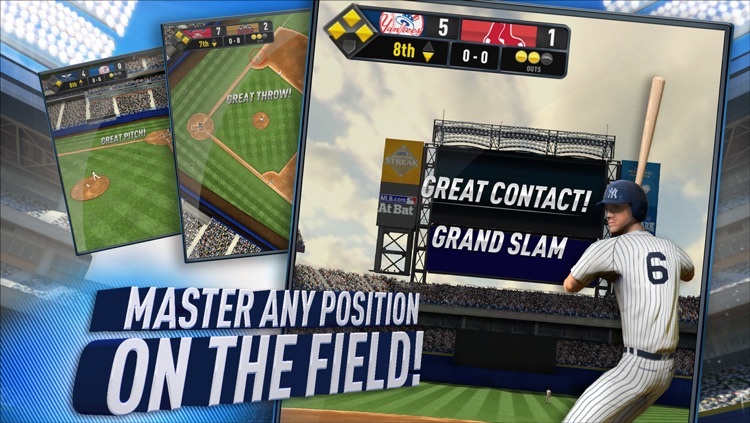 Jump into the action with intuitive tap and swipe controls for batting, pitching, and fielding mini-games. 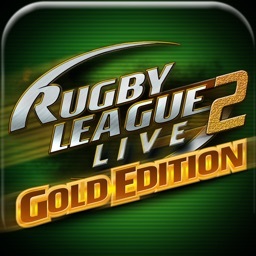 Easy to pick up, hard to put down with hours and hours of deep gameplay! 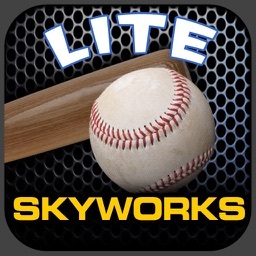 Make key decisions that affect your destiny on the diamond. 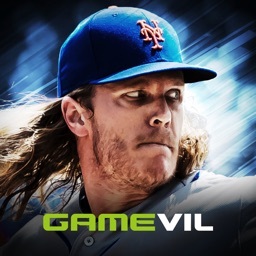 Earn Coins and MLBucks by making crucial plays on-field and spend them on new items, facilities and skills to advance your career. 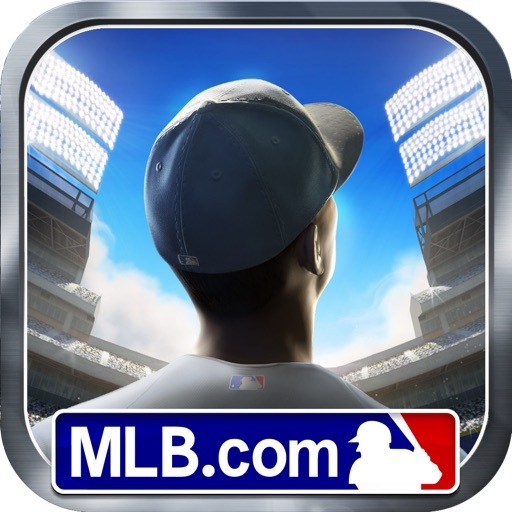 REQUIREMENTS NOTICE: MLB.com Franchise MVP is only compatible with the following devices: iPhone 4, 4S, 5, 5S, 5C, iPad 2, 3, 4, iPad Air, iPad Mini, iPad Mini with Retina display, and iPod Touch 5th gen+. Please make sure your device is supported before downloading. 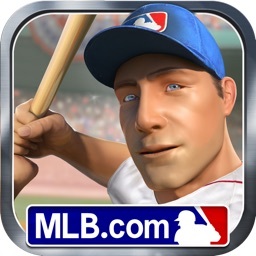 Download MLB.com Franchise MVP now. PLAY BALL!